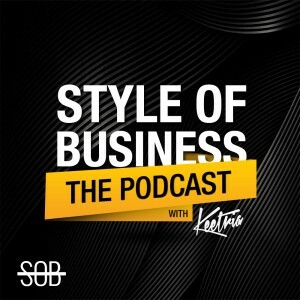 Today, on SOB: Style of Business, Keetria conducts an interview with Nancy Shone, an electrical engineer, digital marketer, and the creator of the photo sharing app Pingster.Keetria and Nancy discuss Nancy’s journey in the business world as a woman and her chosen strategies for entrepreneurship. Nancy Shone explains how she witnessed the technology world make a drastic shift from hardware to software, and how she has participated in both phases of tech. Also, Nancy Shone discusses how and why she came up with the new photo sharing app Pingster, and the ways in which it will add value for users as it expands. 1.Tech moving from hardware to software. 2.Pingster began with Nancy feeling that phot sharing apps are mostly popularity contests. 3.Pingster mixes GPS with photo sharing. like a popularity contest.” – Nancy Shone. -“It’s all about capturing nature and culture through GPS.” –Nancy Shone. – “It connects people physically through imagery.” – Nancy Shone. -“Never stop trying and never give up.” – Nancy Shone.